There are some awesome unique melee weapons in this new Fallout 4 Far Harbor DLC and Fish Catcher is one of them. You have a hook at the end of a long stick guys, its just that simple. You will consume less action points while using this melee weapon and it’s totally upgrade-able for more efficiency. 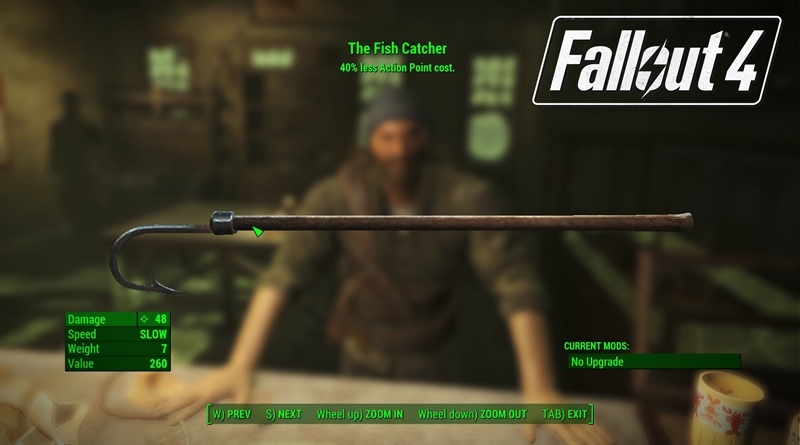 In Fallout 4 Far Harbor Fish Catcher guide we will help you locate this unique weapon in this latest Fallout 4 Far Harbor DLC. You can get this weapon really early by completing story mission. After you have helped the Far Harbor from the fog creatures and monsters, enter the city and go talk to the mayor. After done talking to mayor, you will see Allen a bearded dude to your left who fought alongside you.